As most of you are well aware, Virginia was hit pretty hard last month with a blizzard. I don't know the exact amount, but it was at least a couple of feet! 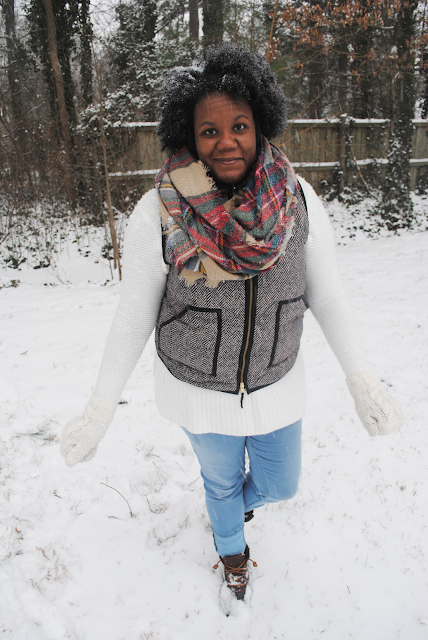 I'd never seen so much snow in my life (maybe a slight exaggeration) so of course I had to go out and play in it. 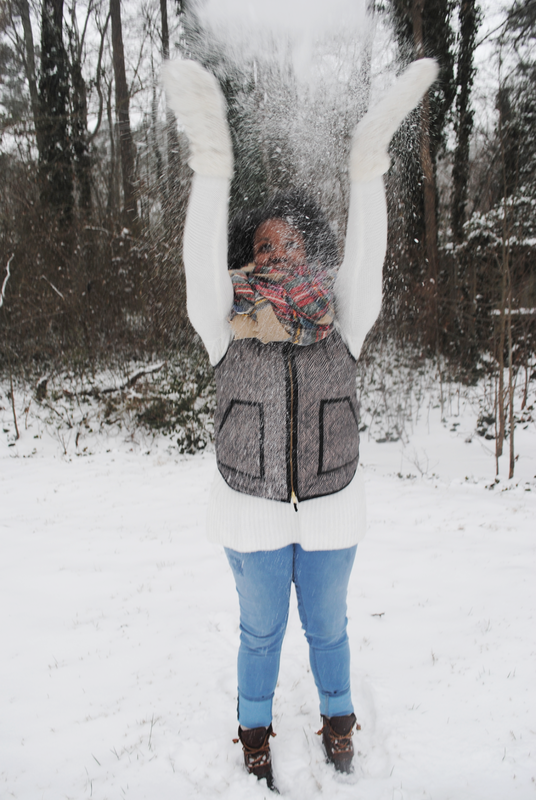 There's nothing I love more than fresh, untouched snow; it just evokes a feeling of peace and calmness. We had another mini blizzard a few days ago so I had another chance to go play in the snow and feel like a kid again. 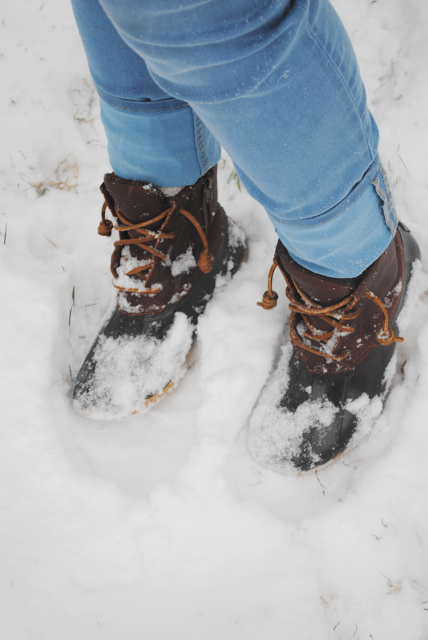 I finally got the chance to really test my Sperry Topsider duck boots and they did not fail! The fleece lining inside kept my feet were unbelievably warm as I trampled through the snow. The only downside is that they stop at my ankles so they weren't ideal for exploring after the snow had stopped. I'm super happy with this purchase and glad I didn't wait around for the L.L. Bean duck boots (even though I secretly still want a pair!). If you're still on the fence about these boots I would definitely splurge and get them; they're great for snow and rain, too! I only went as far as my backyard so this cozy, thick sweater and my favorite J. 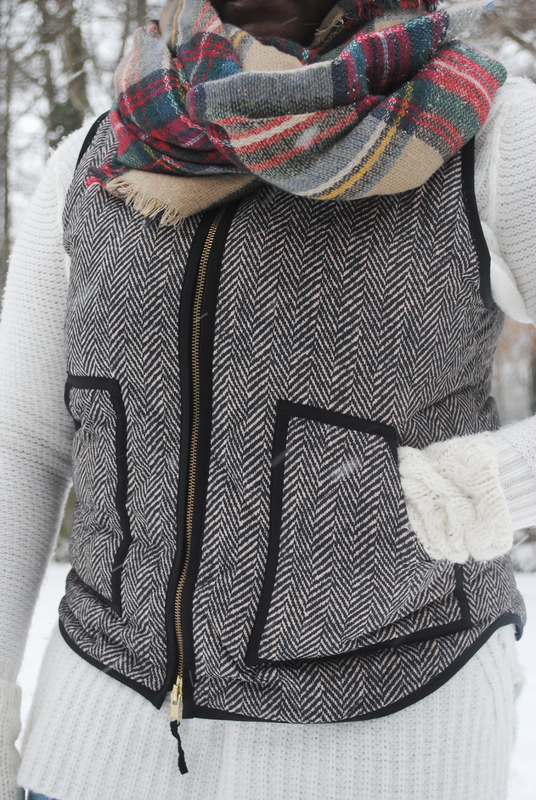 Crew Factory vest was enough to keep me warm. 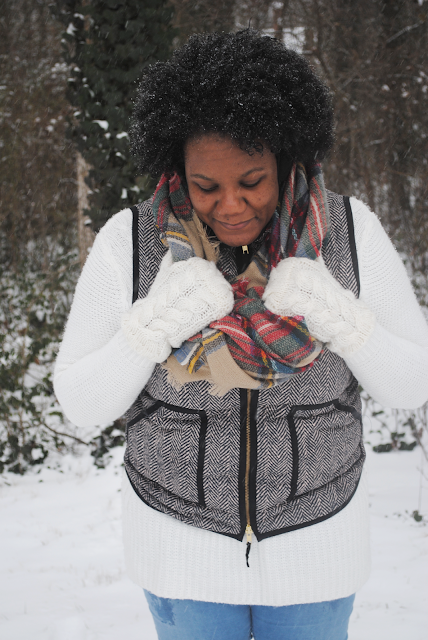 Of course you can't play in the snow without a great pair of mittens! Mine are super old, but I've linked a few similar pairs below. Even though this storm was a couple of weeks ago we still have snow and ice lurking around town! We're supposed to get another small batch of snow (about 7 inches!) sometime this week and I'm not sure how to feel about it. I love sitting next to the window and watching it fall with a good book, but I don't want to be confined to my house again. First world problems, right?